Continued learning is important not only for kids but also for adults. It is important for us to continue to learn, for the rest of our lives. The reality is that we are learning even when we haven’t sat down and made that one of our life’s goals. When was the last time that you watched something like a TV show (or Netflix, Hulu) and learned some historical item or some current event or anything that you didn’t already know? Hey, it is the way we are wired, as humans. Continuing to learn for the rest of our lives has a variety of benefits for the mind and even the body. There are so many different ways to take steps toward the intentional effort of learning. Even fun ways! These opportunities can include anything from reading to experiences, and everything in between. The following sections include a few ways to keep anyone in the continued learning mode, no matter how old or how young they are. A few weeks ago I was having a conversation with a friend of mine and through that conversation, I observed that some of us are content consumers and some of us are content creators. She was mentioning how she could spend hours watching YouTube videos. That would be consuming content. Now, in this case, this particular friend also makes wonderful YouTubes, so she is a bit of both (content consumer and content creator). The advantage to being a content consumer is that it is easier to intake material, like training material. Generally, you are more interested in taking in the information. A content creator wants to spend less time consuming and is flying high with ideas of what to create, write, produce in videos, etc. Probably most people have a bit of both. Why does this matter? If you are a content creator, you are the type that can go out and produce almost like a machine and the fact that you love it makes it that much more fun for you. However, it can sometimes be a challenge to manage sitting down and consuming information (like training modules). The key for you content creators is to challenge yourself to take some time to consume training. Even if you set a goal, say 60 min, to learn something that day or that day of the week. For those of you who are content consumers, you have it made as far as “consuming” training. The challenging part is stopping the consumption to go create. Really, it is about focusing. If you have some sort of need to create, go create. If not, consume at leisure. Maybe the only other challenge is to train yourself to consume things that help reach your goal of continued learning. Probably one of the best ways to keep on learning is to read. You have several options when it comes to reading, whether it includes books, magazines, newspapers, and any other reading material. However, the really fun material to read, for current learning opportunities, is those blogs. Once you find the blogs that you enjoy, you will want to bookmark them or add them to an RSS feed, so that you can return back. Possibly you will want to read your favorite blogs daily. You may not learn something that qualifies you for a degree in rocket science, but you will likely learning something, even a fun fact or two. One of the really helpful blog posts (even relating to learning) that I read the other day was 6 Key Blogging Lessons From Famous Business Pivots. If you are into blogging, you will want to add that blog post to your list and possibly add the blog to your list of favorite blogs. Reading books and blogs helps expand the mind and give you new ideas and insights. Going in hand with reading blogs another area of learning is writing blogs. This is where that content creator side of you will thrive, as well. Why does this fit in the category of learning? I have the answer for that. To write a blog one must do research, as well as organizing those thoughts into something that is interesting to your readers. Trying new things, going to new places, and learning about different stuff are all great ways to get ideas for blog posts as well as a great way to keep learning. Many people have made careers out of blogging that is essentially an online diary of all your great thoughts and opinions… and all that you are learning. Visiting new places is another great way to learn. The brain reacts to new environments and responds to exciting situations. By going to new places and learning about new cities and experiencing new cultures, we are expanding our knowledge and also finding great things to blog about in our next article. Museums, zoos, and aquariums are all great attractions to visit when traveling. Many times they are accessible in most metropolitan areas. They also offer the opportunity for pictures to share in social media. Most cities and towns offer some classes that can be taken in the “old fashioned” brick-and-mortar fashion. There are places you can drive to, like community education, yoga classes, or even painting class. Sometimes there are book clubs that meet in coffee shops. It may not be a class, but it is a way to get out of the house and learn something new. The local library or community center may offer free or low-cost classes. If not, maybe you could try proposing one. If free classes are not available, consider paying for a course that you would highly enjoy such as learning a new language or learning how to draw. Classes are one of the best ways to take in information while also interacting with others. Whether you continued learning by reading, watching videos, attending yoga classes, or even watching Hulu, find a way to ingest new ideas and allow your mind to soar. If you haven’t experienced it, you can find a new exhilarating way to spend time, in a way that you want to spend it. Let me leave you with a quote from Malcolm Gladwell, “It takes roughly 10,000 hours of practice achieve mastery in a field.” Don’t focus on the number, notice the word “mastery.” You can do anything. The first step is the learning (part of which is practicing) and soon you will be on your way to that mastery. You can be a master of your newly added skill, or a skill that you want to grow. Go for it! Thanks for writing this awesome article. We always need to be updated. “Once you stop learning you start dying” is exactly correct. Learning has no end. Every day we learn new updated technology. I wish you luck as you continue to follow that passion. Every single time, there’s lot to learn whenever I visit and read something on Growing Map. Yes, I agree too, Learning is a great part of life and we should continue learning till the time we exist. Great article! Thnx for your time. Well I’m a great fan of blogging/writing since its essentially a great business for continued learning and you can also earn some money as well. Deborah Anderson, great post, it’s amazing to imagine how much we learned with others, because we have different ways to imagine. How much more we teach, more and more we learn. Learning is a part of people life . learning is never end in life ,daily can you learn many things, for learning have not required fix age can u learn any age…. Super definnitive guide! Thank you so much for taking it all into one piece. Some writers from our company are working with case study analysis so your post would be a good resource for them. Also I will really appreciate if you can describe the quality control process for bloggers as well. Amazing article 🙂 learning is great. never stop learning new things its good to learn new things in life for personal as well as professional development in every field of life. Learning is a continuous process, it broadens our horizon and helps us assimilate new ideas. Whether you learn by reading, watching or listening, the most important thing to learn something new and valuable. Thanks for sharing this info. Learning is a thing that we can start from birth to end. At each stage we learn different things. As a teacher I also need to learn various things for my students. According to me, learning is best part of people’s life. Learn is thing that we can start from birth to end. At each stage we can learn different things. As I teacher i also needs to learn various things for my students. My point of view learning is best part of people life. learn, learn, and learn. every second is something new has to be learn. I like the quote “Live everyday like it is your last and learning like you are going to live forever”. I think education is lifelong. I love Udemy by the way. Thank you for sharing this blog. We all know that here is no age limit for learning. this article really gives me great information. Really thanks for your advice.. It is not always that high payment courses are good, appropriate paid courses can be good. Some people give value for money they want to be in industry for longer time. Learning is a part of some people who want to know new technique. There is no limit to learn any kind of things. Your sharing is very good about learning. Thank you for sharing this blog. We all know that here is no age limit for learning. this article really gives me great information, I used to write a lot and it helps me being more creative. It is the best way to improve more knowledge. Again thanks for sharing this great post with us. Great article. When ever you stop learning, you stop growing. The importance of continued learning cannot be over emphasized. Thank you Deborah Anderson. It was really a good work and it focus on continuous learning for better knowledge and living. I do also agree that here is no age limit for learning. We were born to learn and improve our knowledge in any field we would like to. Thank you for sharing this blog. A man is his own enemy, the limit is not what others set on us, its we who think this is our limit and the one who knows their true potential are the winners now. Same way I have a habit of reading books atleast a page before going to bed and it really helps us to nourish ourself a lot. Btw, I am a big fan of Tim Ferris. He knows a lot about learning techniques. You should check out his books! I think it is very important to keep your mind active. Brain also needs sport 🙂 I personally prefer chess. Blogging and writing is the most effective way to continue learning. It also maintain creativity of the mind. I used to write a lot and it helps me being more creative. “Content creator vs content consumer”-I liked the example . I personally think that there is no person in the world who is only a content creator. I know a guy who writes short stories for kids. He is around 50 years of age and still contiue to read short stories for kids written by other writers. So content creators and content consumers goes hand in hand. I liked the fact about going out somewhere new and freshen up to get new ideas. It has always worked for me. Thanks for Sharing this. Content writing and blog writing is a good habit. It is the best way for gaining and improve more knowledge. your article is such a great. I happy after reading your article. Great article Deborah! We should not stop learning new things. I totally I agree that blogging/ writing is a great way of learning new things. yeah its correct that there is no end for learning and gaining knowledge. From reading such a nice article. I have heard of Udemy. I was thinking I might even apply to teach there. I am trying to get your Skype number which we discussed several months ago. Can you please send to my email? I often have my Skype set to Do Not Disturb (red) and in that state it does not ring. So it is always better to message first and then we can switch to audio. Send me a connection request please. My username is growmap. There are too many Janice Wald’s for me to guess which one is yours. Feel free to leave messages regardless of the status shown and I will answer them as soon as I can. Well indeed continuous will always results in getting to know lot of things daily and in the process we’ll be much more perfect. Barry would love you to read ..Do You Need to Use Antivirus on iPhone? 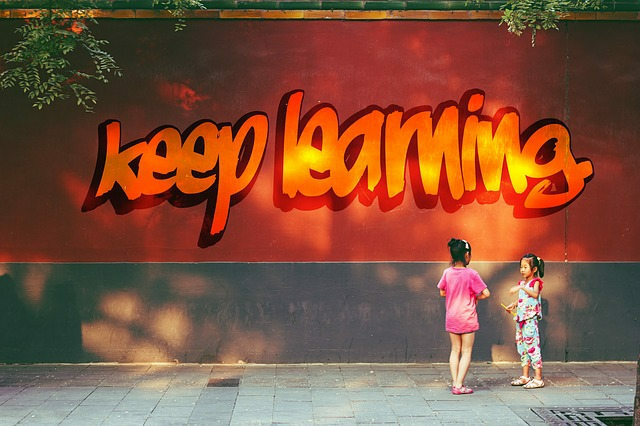 Continue learning is a very good habit and there is no age limit of learning. Thanks for sharing your views with us. There is never any end of learning for any ages of people. It’s endless. Very impressive post & logical. Great job by sharing! Some old fashioned schools also give new lessons, it is not that if a school is in small town that could not give you great lessons. Giving lessons is just a trick and if one understands that trick we can give great study material. It is not that only big city education points can have it any body can do it.